Wellington city with Tararua Ranges above. Looking along SH1/SH2 to the Hutt Valley beyond. Wadestown, Thorndon and Kaiwharawhara in foreground. Hutt City and Petone beyond. 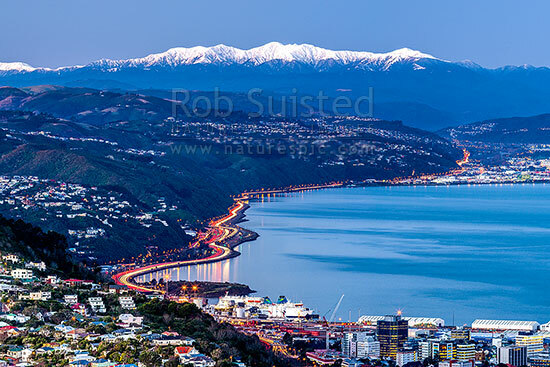 Winter dusk, Wellington, Wellington City District, Wellington Region, New Zealand (NZ), stock photo.